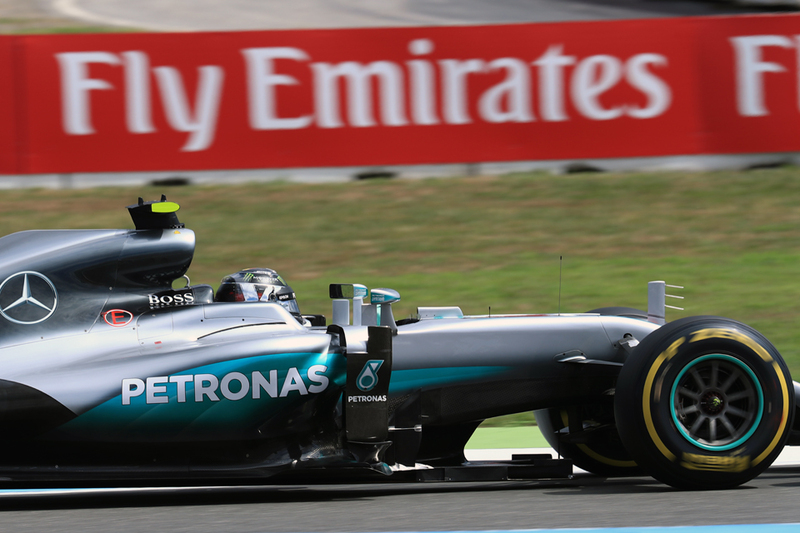 Somehow, almost no matter what, everything adds up to ensure the enigma that is Nico Rosberg. It seems just when we think we have clarity of where he sits in the scheme of things, something happens almost immediately to confuse the matter anew - and this has been the way for years. This for Nico comes in the form both of for good and for ill, but in this German Grand Prix meeting thus far we have had just our latest case of when we all thought we could conclude confidently that finally he is in firmly Lewis Hamilton's shadow, he leaps straight back into the spotlight. We never learn either. Perhaps none of us - least of all him - would have it any other way. Following the Hungarian race last weekend indeed in which his previously-towering championship lead was chopped down to a deficit - the culmination of a devastating run of form from Lewis - we thought that was that. That last weekend and this he has rather been at the centre of controversy, double yellow flags and all, hardly will help, we thought. But not so. As ever when tracking Nico's trajectory as the adage goes we started out confused and ended up confused on a higher level. For most of this German Grand Prix weekend in Hockenheim Nico Rosberg has, rather on the contrary to expectations, been serene. Topping every practice session, often comfortably. Almost floating around the track gracefully, none of the violent steering wheel movements that can be a bit of a telltale that he is struggling. From the point a Pirelli was turned in southern Germany he looked on another level, including from his team mate. And today, one way or another, he made good on it in the end to seize pole position. It's just as well for him too, as with that build up, and with everything that came prior to this gathering, had he stepped out of his mount at the end of the qualifying hour having been beaten by Lewis again you'd forgive him for being sent plunging into despair about what he actually had to do to prevail. But instead afterwards his only conundrum, if it can be called that, was that of Bialystock and Bloom. "Where did we go right?" He had plenty of adversity to overcome too. First off in that oh-so familiar way when it really mattered in qualifying his team mate and chief antagonist started to beat him for the first time in the meeting - the Englishman somehow had worked his way to be on top in both Q1 and Q2. 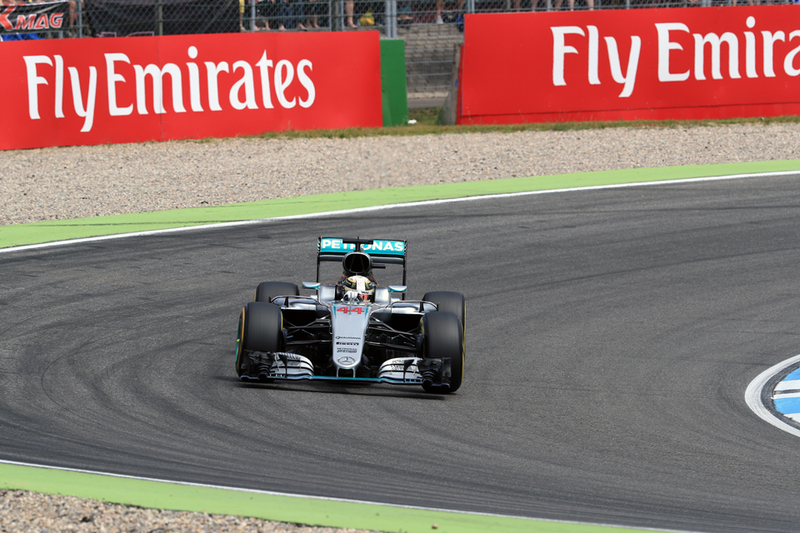 Then in Q3 although Nico's first run looked quick he abandoned it to pit under mysterious circumstances, in which time Lewis helped himself to a fine 1m14.486. Again it seemed everything was somehow slipping away. "No I don't yet [know exactly what happened]" said Nico later of the problem. "It's the throttle that stopped working, so it wouldn't take the throttle anymore, just cut it completely, instantly. Never had that before." He did reappear on track not long later after a reboot, but all this left him with but a single run to set his grid place anywhere in the top 10. Yet one run was all he needed as in one swoop he set a 1m14.363 that no one could beat. Lewis looked like he would, being up by a tenth after the first sector of his second go, but then he locked up a front wheel at the end of the long straight, and he says the resultant flat spotted tyre cost him time throughout the rest of the lap. 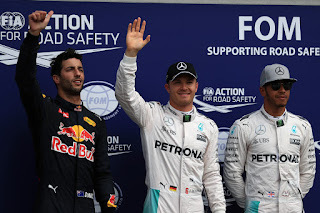 He did improve his mark, but only marginally, and pole was Nico's. And Nico, not alone, thought it a special effort. "Yes for sure, one of my best," he said, "especially under those circumstances, and as a result also very satisfying." We found out later too that he had even more adversity to overcome than we thought, as he did the lap carrying more fuel than usual, as a "back up plan" in case his effort in this his one run in Q3 went wrong. "It's a choice," Rosberg said. 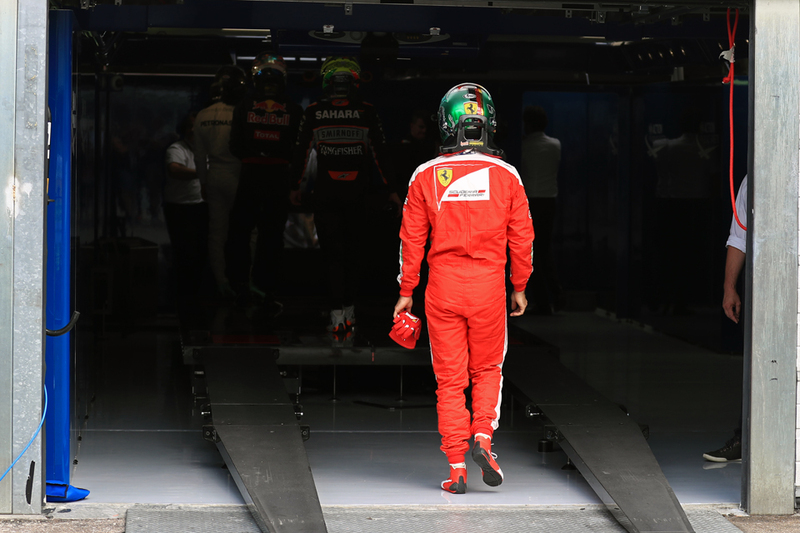 "I can just fuel for one lap, but if I mess up the one lap, I am tenth. Or I can fuel for three laps, so I can go for lap one and if it doesn't work out at least I have a back up plan to make it into the top four or something. Of course you have to choose your level as it's too big a risk otherwise." It struck too that his lap for pole was just like how he had got on top in the first place this weekend - smooth as silk. Leaving the ragged stuff to his stable mate. In more ways the one he had come full circle. Afterwards too he beamed. Jovial; engaging. None of the prickly defence that can be there if things are not going well. The gloom was left to his team mate instead, who self-admittedly was kicking himself about events. "I was 2.26 [tenths] up at that point [of the lock-up]," Lewis said, "and I think I lost maybe half a tenth on the exit of that corner. Then I lost those [rest of the gap] later on, [in] half a lap. I think as I came out of Turn 11 it had come down to 0.16 [seconds], then from Turn 12 onwards it was just less and less and less. "Today I was quickest, all the way through qualifying I was quickest, quickest, quickest, quickest, and I was easily quickest again at the end and I have to look at myself. "That's [that pole was lost to his own error] something that I have to handle and deal with and that's just how I deal with it. You know when you kind of kick yourself a little bit? " Unlike in Hungary last time out though qualifying and the first lap aren't quite everything for the race result at Hockenheim. "It's a different world here [from Hungary]" said Nico, "because you can overtake on this track if you get a significant speed difference. Nevertheless it's still going to be a good battle off the start and in the first couple of corners, for sure." There might even be strategy variation too as it is a close call between two halts and three tomorrow, and the vast pace difference between the supersoft and soft tyres means all will seek to use the latter as little as possible. Hamilton was defiant. "I'm not down...I've got a race to win tomorrow," he insisted. "There's nothing I can do about the past and [so I] move forward now and tomorrow I can make a difference." But then again Friday running suggested that Nico's advantage over him on race runs was even greater. It might not all be about them either. 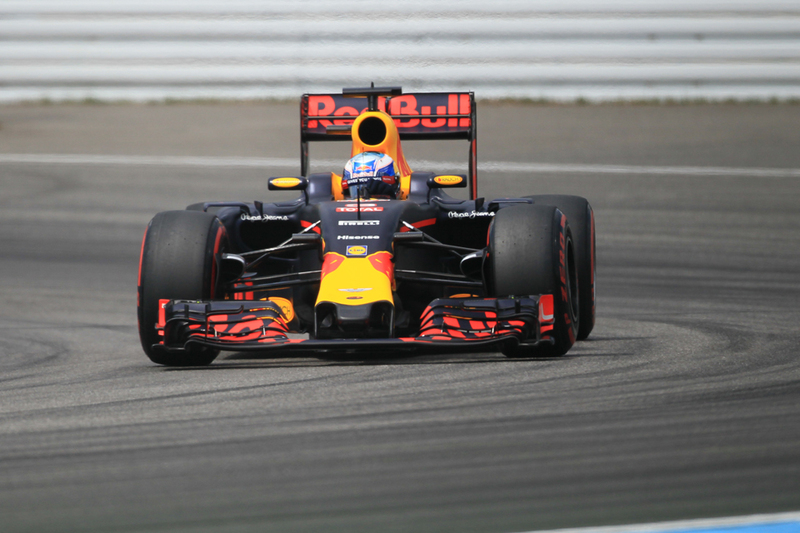 Daniel Ricciardo ran the Mercs close in bagging P3 in the starting order, being just 0.363secs off Nico's pace. And he thought that given the Red Bull's race pace is better relatively than it is for one lap he might even be able to look ahead tomorrow. "I felt that, on low fuel yesterday, Mercedes had a pretty good buffer over everyone and the long run pace we looked to be closer than that" he said, "so that was giving us a bit of optimism coming into Sunday. Obviously today we've got a bit closer on one-lap pace than we were yesterday so let's see. Hopefully it translates into something tomorrow. 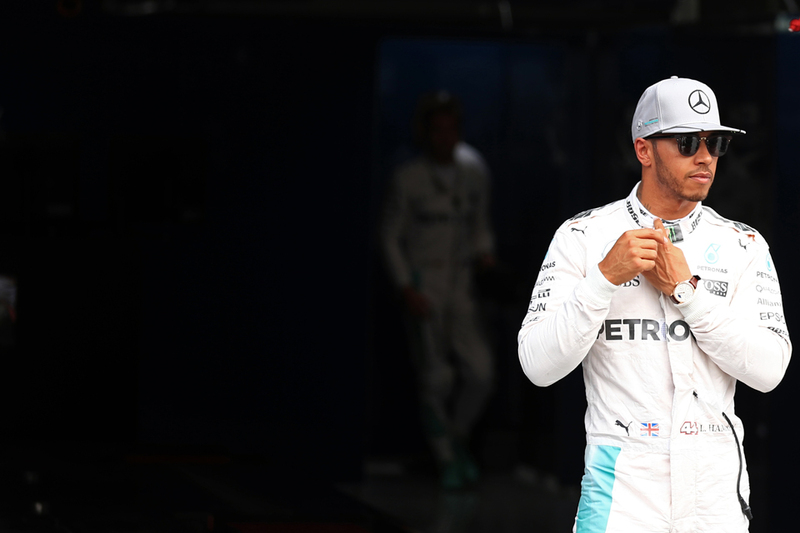 "Even to put a little bit of pressure on them at some point in the race would be nice". Max Verstappen in the other Bull was next up, and he was followed by two rather sad Ferraris. Possibly more worrying for the Scuderia was that its quickest time was almost half a second slower than Ricciardo's. The pilots didn't care to hide afterwards that the car isn't overloaded with vices, instead simply lacks fundamental pace and downforce. "We're just not fast overall," said Kimi Raikkonen, who will start as the lead of the Ferrari pair, "we need to put more downforce on the car to go faster." "Our car was behaving pretty nicely today and I was happy with the handling...I don't have much to complain about from the behaviour of the car, we are just lacking overall speed." His team-mate Sebastian Vettel concurred, adding: "Well I think it's clear that in qualifying we were not as competitive as we wanted to be, not just in who is ahead but who is behind, and looking at the gaps we're only two tenths quicker than the Force India. We are usually a lot quicker than two tenths". Both expected to come on stronger in the race however. On a lap a relatively high proportion of which is on full throttle it's not a surprise to find Mercedes-powered cars next up - two Williams and two Force Indias (Nico Hulkenberg was dropped a single place by the stewards in the order after a tyre mix up). The McLarens disappointed however, and will start in P12 and P13, after struggling for set-up. Fernando Alonso admitted to mistakes on his quali laps too. 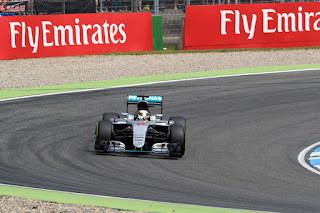 Up front neither Mercedes pilot can afford errors you suspect, in what promises to be a tight and tense race battle. But the way Nico Rosberg has been going this weekend, errors are the last thing that can be expected.